The Sandcastle Trust is a small but national charity supporting families affected by rare genetic conditions across the UK. We rely heavily on our enthusiastic and dedicated volunteers who contribute in a wide variety of ways. We have volunteers of all different ages who bring with them a range of skills and experience. We also have a number of volunteers who have personal experience of the impact a rare genetic condition can have on family life. Volunteering isn’t always about a regular commitment. We have volunteering opportunities to suit whatever level of time you can give, from regular volunteering roles, ad hoc volunteering at bucket collections, through to one-off support at one of our events. Some volunteering roles can be carried out from home, while others will take you out and about. We value our volunteers enormously and are determined to provide the best possible experience and support for everyone who gets involved. Read our Volunteer Agreement for more information. The Sandcastle Trust is a small but national charity. Due to the geographical reach of the charity we are looking to recruit Regional Charity Champions to raise awareness and funds in their local communities. Acting as a representative of the charity out and about in your local community. 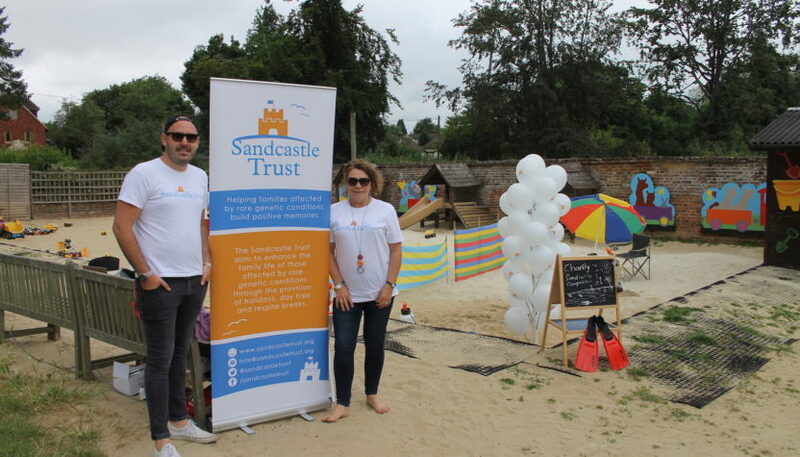 Sharing information about The Sandcastle Trust with friends, family, and colleagues, and to inspire others to get involved with events and fundraising appeals throughout the year. Running fundraising stalls at local events to represent the Charity. Seeking or facilitating approaches to local companies, groups and supporters. Organising a fundraising committee and events to raise money and awareness in your area. Although not essential to the volunteer role, it would be helpful if you would be willing to deliver talks about the charity to local groups and organisations (all relevant information and speaker notes will be provided to you). As a Volunteer Collection box Co-ordinator you will support The Sandcastle Trust in your region to raise awareness and funds for the charity by placing and managing collection boxes within businesses in your local community. This role can be as large or as small as you want and whatever time you can give would be very much appreciated. Placing charity collection boxes in shops, pubs, chemists, doctor’s surgeries etc in your area. Making follow up visits to businesses where boxes have been placed to empty contents and reseal boxes for further use. Counting and receipting contents of each box emptied. Maintaining accurate records of venues holding boxes and how much each collection box placed raises – you will be provided with a spreadsheet to facilitate this. Ensuring boxes are clean and in good condition and replacing where needed. Banking income and providing detailed report of income. 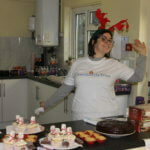 Can you spare a couple of hours per week to help behind the scenes at The Sandcastle Trust? Our charity is in a period of fast growth and we are looking for an Administration Support Volunteer to help. You will need to be organised with the ability to work on a range of different tasks; have a fun and friendly personality with good interpersonal skills and excellent written communication skills. A good working knowledge of Microsoft Office coupled with the ability to pick up and use new versions of software as they become available, is important. The role will be home based but with meetings from time to time with the chair of trustees in Coulsdon, Surrey. Sending out fundraising packs and resources. Sending out thank you letters, emails and certificates to supporters an fundraisers. Assisting in the production of newsletters mail shots. Managing and updating our donor contact database. There is also the opportunity to get involved with our fundraising events, if you wish to. To anyone considering taking on a volunteering role at The Sandcastle Trust I would say just go for it. My role as a Regional Charity Champion has been very flexible and I have received lots of guidance and support from the charity. I have been able to fit it in around my commitments at home and my studies but at the same time I have developed a range of new skills. The whole experience has been incredibly rewarding and lots of fun!